The New York Festival of Song presents A Goyishe Christmas To You. Image © 2011 Kaufman Center. Tuesday night's concert by the New York Festival of Song featured the second year of A Goyishe Christmas To You, Steven Blier's program of holiday favorites, written by Jewish composers. This was the program's first appearance at the Merkin Concert Hall, the NYFOS' regular home. The show combines well-known Christmas chestnuts by Jewish composers with 20th century rarities and a new song, submitted in an e-mail from composer Howard Levitsky. 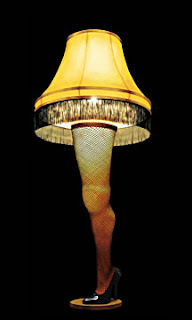 Mr. Levitsky's song, "Candle in the Window (God Bless the Christmas Jews)"opened the program, setting an appropriate, light-hearted tone for the concert. The lyrics examine the disparity of being Jewish and celebrating Christmas anyway, even adding a few extradimensional words from God, admonishing his worshipers not to "think too much." It was engagingly performed by baritone Joshua Jeremiah and soprano Judy Kaye in a breezy, Broadway style. The program then moved through an astonishing variety of music, from the familiar ("Santa Baby", vamped by nascent diva Lauren Worsham) to obscure nuggets from little-known musicals and old television specials. The best of these: "What Makes Santa Run?" a comic psychoanalysis of St. Nicholas, with Mr. Jeremiah taking the role of Dr. Sigmund Freud. The biggest name in the little cast of singers was Stephanie Blythe, the potent mezzo-soprano who has become a current fixture at the Met. It was more than thrilling to hear her Wagner-sized voice sing "Let it Snow" and "The Christmas Song," with jazz-inflected piano accompaniment from Mr. Blier. She gave these popular songs full, rich tone and a seductive warmth. In addition to rarities and favorites, Mr. Blier presented some bold reworkings of familiar songs. "Winter Wonderland" was presented as an ode to gay bliss, with John Brancy and Mr. Jeremiah singing it as a baritonal duet. In a state where gay marriage is at long last legal, the line about Parson Brown and matrimony received hearty approval. "Rudolph the Red-Nosed Reindeer", was reworked in Yiddish. The Johnny Marks classic was sung by tenor Joshua Breitzer in a red yarmulke, accompanied by stepped-up piano and klezmer-style clarinet playing from soloist Alan Kay. More traditional was "O Holy Night", the soaring carol from French composer Adolphe Adam. (Mr. Blier declared that Mr. Adam was "actually Jewish for one holy night" in his liner notes.) This was sung with emotive power by Mr. Brancy, who clearly relished the chance to open up his instrument and show its full power and range. He sang it a second time in French, using the original words and giving them even more weight. Following Ms. Kaye's playful rendition of David Friedman's "A Simple Christmas Wish," the concert ended with the whole cast lining up at the piano to share Irving Berlin's immortal "White Christmas." The simple melody was reworked as a triple duet, with pairs of singers splitting up its few short lines. Following this touching performance, the cast cut loose with another Johnny Marks classic: "Rockin' Around the Christmas Tree." Young talent adds life to the Met's mega-Bohéme. Rush hour in Paris: Act II of La bohéme features over 200 people onstage. 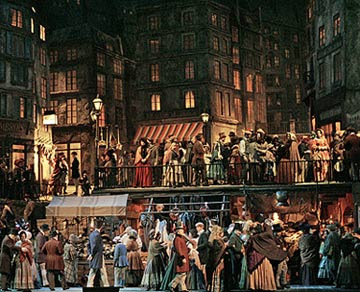 For three decades, the Metropolitan Opera's La bohéme has thrilled tourists and opera newbies with Franco Zeffirelli's over-the-top version of fin de siècle Paris. And it's provided excitement to hard-core opera lovers as well, with Anna Netrebko and Angela Gheorghiu among the divas dying onstage in the key role of Mimì. Monday night's performance had all of the spectacle and flash that audiences expect from this staging, which packs 200 people onstage to depict the French Quarter at Christmas in Act II. It also had lesser known singers as Rodolfo and Mimì. But that can be fun too, as the opportunity comes to discover a new singer in one of these evergreen roles. Mimì was Russian soprano Hibla Gerzmava, who made her house debut as Antonia in last year's revival of Les contes d'Hoffmann. She sang the part with full, warm tone, stumbling on a very fast "Sventatta, sventatta" but sounding better in "Mi chiamino Mimì". The two singers voices blended and rose, mixing the aural cocktail that has kept this opera at the top of the repertory for over a century. Her final duet with Rodolfo (tenor Dmitri Pittas) was very moving. Mr. Pittas is a New York native who is making a name for himself at the Met. Armed with a bright instrument with a little metal in it, struggled with his intonation in the first scene. He found his footing when he hit the familiar tenor arias that anchor the music of this opera. His performance improved as Rodolfo began to decline, hitting hard emotional truths as the false snow fell in the third act. Of course, you can't have Bohéme without Bohemians, and Mr. Pittas was supported by a fine trio. Baritone Alexey Markov was an exceptional Marcello, spitting jealous venom at Musetta but providing able support to his friends in time of need. Susanna Philips was a high-lying Musetta, injecting energy into the crowded second act with her entrance, and real sympathy in the finale. Bass-baritone Patrick Carfizzi was an energetic, spring-heeld Schaunard, bouncing around the stage. Matthew Rose was an exceptional Colline, making the most of "Vecchio zimarra," the philosopher's touching farewell to his beloved old overcoat. This is another role that leads to great things in the future of a young singer--today's Colline can become tomorrow's Mephistopheles. The production did boast one sturdy veteran. Paul Plishka took his usual twin roles of Benoit and Alcindoro, and made a fine comic foil to the younger singers. Louis Langrée conducted an unmannered performance of the score, which featured some very fine playing from the Metropolitan Opera Orchestra woodwinds. brave little plumber in love with a princess, who overcomes great odds to rescue her from an overgrown turtle. Just the thing to brighten a rainy morning. News about next year's Tempest, some of it even factual. Breaking news (and we mean that literally) from the Metropolitan Opera. In an interview with Toronto.com theater critic Richard Ouzounian, Metropolitan Opera general manager Peter Gelb has confirmed something that those of us who read Bradley Wilbur's now defunct Metropolitan Opera Futures Page already knew. Robert Lepage will return to the theater to direct the company's first production of Thomas Ades' The Tempest. Based on the Shakespeare play, Mr. Ades' new opera will feature Simon Keenlyside as Prospero, the wizard who creates a brave new world on a mysterious island. And yes, that's the same "enchanted island" featured in the Met's new pastiche opera, brilliantly titled The Enchanted Island. This is not the set design for The Tempest. Production of The Tempest will require construction of Lepage's latest stage idea: the "Worm," a 200-foot-long solar-powered stage set constructed entirely from dried rotini pasta, duct tape and glue. The set is advertised as the first "environmentally friendly, disposable opera set" and will create a "physically challenging" acting surface for the singers, including Mr. Keenlyside. Asked about where the actors will stand on a stage made from 40 tons of pasta, a stagehand commented "that's what the duct tape is for." He asked to not be identified. To build the $20-million-dollar contraption, the Metropolitan Opera's dogged stage crew will have to drill a 20-foot-wide accessway in the side of the opera house. This will accomodate a 75-foot high stanchion on either side of the building. When asked how the new supports will affect the neighboring Vivian Beaumont Theater, press representative T. Musquetier said: "I'm not too worried about it." The above isn't true. In fact this staging is being done in collaboration with La Scala, who will mount the opera in 2013. In another tidbit dropped by Mr. Gelb, the company's new production of Verdi's Falstaff will be directed by Des McAnuff, the Tony Award-winning director of Jersey Boys. Mr. McAnuff is currently putting the finishing touches on his new production of Jesus Christ Superstar. The director will be back in New York to face the music (and the audience) tomorrow. His new production of Faust, (which updates Goethe's drama to the atomic age for some reason) has its premiere tomorrow night. The man known to some as "Joe Green" celebrates his 200th birthday in 2013. This post came about from a Twitter conversation with someone going under the name "Giuseppe Verdi." Here's my list of Verdi opera, first-to-worst. Since there are actually four operas out of the composer's catalogue that I still haven't seen or heard, it's not quite complete. OK. Here we go. Rigoletto: You can see the tale of the hunchbacked jester with a lecherous boss a dozen times and it still plays, and still breaks the heart. The opera that got Verdi out of the "galley" and onto the international stage. Don Carlos/Don Carlo: Verdi's darkest, longest and most symphonic opera: a heartbroken young man stares down the Spanish Inquisition--and blinks. Simon Boccanegra (1883 revision): A bomb in its original version, Verdi's revision of Boccanegra was a work of theatrical genius, and the gateway to the brilliant work of his final years. La Forza del Destino: The story is (literally) all over the place, but this experiment in destroying Aristotelian unities has some of the best music. Otello: This might be the only Shakespeare opera that is better than the play it is based on. Il trovatore: The opera "with everything" is demanding for the singers. Although the plot is a bit old-fashioned, it works if you have the four best singers in the world, or at least the four best available. Falstaff: With his last opera, the composer has the last laugh. La traviata: The tragic end of Violetta never fails to pull the heartstrings. A family drama with great music and a challenging leading role. Aida: The sellout after the experimentation of Forza and Don Carlo. And it continues to sell out...to packed houses. 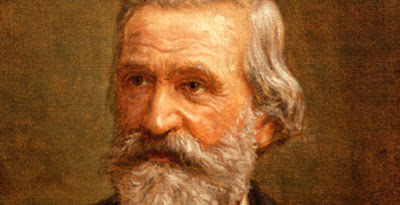 Nabucco: Verdi's first grand opera and first hit. This goes high just for "Va, pensiero." Attila: The best bass role in Italian opera. Stiffelio: Banned by censors (and later revised and re-titled), Stiffelio found its audience--in the 20th century. Un Ballo en Maschera: Another opera that struggled with censorship. Verdi contrasts light court comedy with jealousy, personal tragedy and political assassination. Ernani: The libretto (based on Victor Hugo) is hokey but the opera can send chills dow your spine. La Battaglia del Legnano: An exercise in Italian patriotism. You never get to see it, but it's pretty good! I due Foscari: Dark and experimental, this is kind of a fore-runner of Don Carlos. I Lombardi alla prima crociata: The ambitious follow-up to Nabucco is too ambitious for its own good. Les vêpres Siciliennes/I Vespri Siciliani: A five-act grand opera for Paris that ended with the Italians massacring the French. Slow, depressing, and all over the place. Luisa Miller: A pastoral tragedy that comes right before Rigoletto. I Masnadieri: Kind of a follow-up to Ernani with a demanding soprano part written for Jenny Lind. Il corsaro: One of Verdi's shortest operas. Not to be confused with Simon Boccanegra. Alzira: Set in South America, this dashed-off rewrite of Voltaire is noisy and trite. I did not include Oberto, Un Giorno di Regno, Giovanna d'Arco, Jérusalem. Aroldo, or the orignal version of Simon Boccanegra, as I've never listened to them. The last two are revisions of earlier operas--Jérusalem is a French reworking of I Lombardi. Aroldo was an attempt to rehabilitate Stiffelio by moving the story to the time of the Crusades in medieval Scotland. 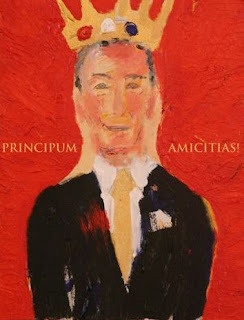 Our guide to the best opera releases (and re-releases) of 2011. A young hopeful auditions for the role of Fiesco in Simon Boccanegra. 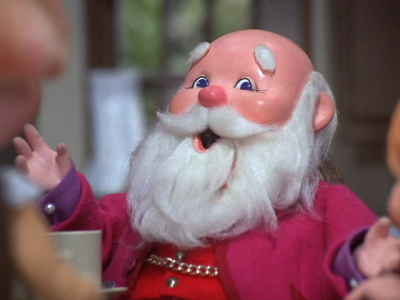 Image framegrabbed from The Year Without a Santa Claus © 1974 Rankin-Bass CBS. OK. This has been by and large a poor year for opera on CD. But there have been some interesting new reissues, and a few new recordings for your perusal. The Claudio Abbado Fidelio is worthy of this list--a review can be found on the Beethoven page of the Gift Guide. Metropolitan Opera Orchestra and Chorus, various conductors. a 1964 Don Carlo with Franco Corelli sounding like the world's most macho neurotic. the 1968 Die Walküre: an unbeatable cast, with Birgit Nilsson, Christa Ludwig, Leonie Rysanek, Jon Vickers, and Thomas Stewart. There is stage noise and audience applause. But who cares? These are great performances if you want some alternate versions of classic operas. Also essential for understanding why opera lovers get all misty-eyed when they reminisce about "what singing used to be." Everyone knows the overture, but the remaining four hours or so that make up Rossini's last opera are mostly unknown to listeners. This live set, made in Italy and sung in French makes a persuasive case for the opera itself, and for singing Tell in its original language. Since Tell is under-performed and under-served on record (this is just the fourth recording in a century) this set is a welcome addition. Gerald Finley makes a compelling case for the title character. This is the dude who shot the apple from his son's head. Tell is a mythical Swiss revolutionary whose legendary battles against Austrian oppressors inspired the people of Switzerland to become independent and go into the banking business. Mr. Finley, the fine Canadian baritone, is an ideal choice with excellent good French. Tenor John Osborn copes with Arnold's murderously high tessitura, hitting the difficult notes in the hero's Act IV aria. Soprano Malin Bÿstrom is an interesting choice for Mathilde--she has the high head voice and chest notes, but the voice seems to shrink in the passagio. (The Legend of the Invisible City of Kitezh and the Maiden Fevronaya, Sadko, The Tsar's Bride, Kaschei the Immortal, The Maid of Pskov). Kirov Opera Orchestra and Chorus cond. Valery Gergiev. Valery Gergiev has done a lot for Russian music. The fiery Ossetian maestro made his name with the Kirov (now Mariinsky) Orchestra, exposing Western listeners to operas that, for a century, remained largely unknown outside Russia. With the collapse of Philips Classics, and its folding into the Decca label, many of these recordings, released originally in the 1990s have been out of print. This utilitarian set exploring the major operas of Nikolai Rimsky-Korsakov is the first major reissue. Although it's done on the cheap, the music inside is priceless. Rimsky has a bad rep with Western listeners, because he was the most responsibe musician of the so-called "Mighty Handful" and the one with the longest career. He's also suffered because of well-meaning efforts to "clean up" the jagged music of his friend Mussorgsky and make Boris Godounov palatable to the un-trained ear. But his own operas have a swirl of orchestral color and a fairy-tale atmosphere. Best of all is Kitezh, the "Russian Parsifal" that Mr. Gergiev rescued from oblivion with this recording. Sadko, an aquatic fairytale, is also interesting. If 11 discs is just too much Rimsky, the Invisible City of Kitezh is also coming out as an individual set. But at the low price for this ugly little box, you're better off with all 5 Operas. Like Mr. Gergiev, Sir John Eliot Gardiner was another Universal Classics artist who lost his contract when DG, Decca and Philips purged their rosters. As a result, his brilliant cycle of Mozart operas, made for DG Archiv in the 1990s and considered at the time to be flagship recordings of these works, have fallen by the wayside. But they're back. This massive box collects all of JEG's Mozart opera recordings. Actually, it's not that massive, as the first boxed set issued back then could have held three loaves of bread. These are mostly live, played on period instruments at very fast tempos, with fresh-faced young singers who went on to bigger things. 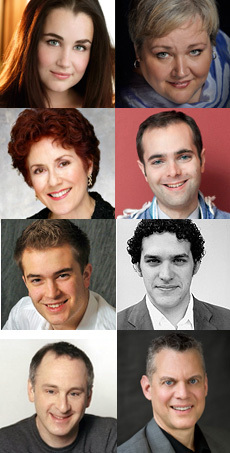 Cast members here include Rodney Gilfrey, Alison Hagley, Gerald Finley and, in Figaro, a young hopeful named Bryn Terfel. The recordings are all note-complete, with alternate passages and deleted scenes included for the curious listener. Essential. Barenboim's Wagner cycle comes back on Warner Brothers Classics, formerly Teldec. This isnt so much a case of an artist losing his place at the table, but the label itself being partitioned off from Time Warner and sent over to the orphanage/clearing house Naxos. They're distributing the catalogue now. This cycle splits pretty evenly between Berlin recordings and live sets made without an audience at the Bayreuth Festspielhaus. Throughout, Daniel Barenboim leads carefully considered performances with Wagnerian rubato--his style is that of a slightly more restrained Wilhelm Furtwängler. It includes one of my favorite recordings of the Ring, earthy, raw, and with the unconventional but interesting casting of John Tomlinson and Anne Evans as Wotan and Brunnhilde. A lot of "regulars" appear across this set, most notably Falk Struckmann and Waltraud Meier. Included is Ms. Meier's second recorded Kundry and her first Isolde. Also featured: tenor Siegfried Jerusalem. The talented bassoon player turned heldentenor takes on the title part in the opera that bears his first name, reprises the role for Götterdämmerung, and also sings Tristan and Parsifal. Die Tote Stadt from Frankfurt. Paul (Klaus Florian Vogt, right) haunted by the memory of his dead wife. Photo by Barbara Aumüller © 2009 Frankfurt Opera. With rumors flying around about the death of the CD, I've decided that music reviews on this site will now be labeled recording review instead of CD review.. It's really a matter of nomenclature. I upload just about everything I listen to (as high-quality MP3s) and those form the listening experience I write from. It's not a fancy stereo setup, but hey, we're on a budget. It is hard to believe that this 2009 recording made in Frankfurt is only the third version of Die Tote Stadt in the catalogue. Erich Wolfgang Korngold wrote the opera when he was 19, constructing the libretto with help from his father Julius, a noted Vienna music critic. The composer's most famous work before his Hollywood exile, it is chiefly remembered for "Gluck das mir Verblieb." This sentimental tune shows up in many Hollywood movies, most recently in The Big Lebowski. Die Tote Stadt is set in Doctor Evil's home-town, the "dead city" of Bruges, Belgium. The town's gothic atmosphere permeates the score, which is written in a lush orchestral style. Korngold stands with Richard Strauss and Gustav Mahler as the last heirs to the Romantic tradition in music. But history (specifically the rise of the Nazis and the Anschluss) intervened, and the Jewish Korngold fled to Hollywood. There, he became one of the fathers of film music, which brought personal success but derision from the world of "serious" musicians. Conductor Sebastian Weigle takes the famous "Gluck das mir Verblieb" as slowly as possible, allowing soprano Tatiana Pavlovskaya to linger over the phrases. The effect is one of Wagnerian longing in this famous tune, drawing out the characters' nostalgia and inner anguish, expressed through this inspired melody. Elsewhere, the giant orchestra is adeptly led in the dance music for Marietta and the phantasmagoric carnival scene in Act II. Heldentenor Klaus Florian Vogt is captured here in marvelous voice. He sounds relieved to be free of the strange opera productions of Katherina Wagner's Bayreuth. This is the right voice for Paul, the hapless composer haunted by the memory of his dead wife. He sings the role with great tenderness and understanding, but is also credible when portraying Paul's rage and confusion when confronted with Marietta. He brings frightening power and pathos to the scene where Paul strangles the phantom of his wife. The engineers from Oehms Records are to be commended for bringing out the complexity Korngold's high-calorie orchestrations. A smooth fabric of strings wraps around the listener, ably supporting the vocal line. Brass and timpani are fully captured, including the complex writing for celesta and triangle. Although this is labelled as a live recording, the mic-ing is well forward of the house. An occasional cough or stage noise is audible, but it's not enough to distract from one's enjoyment of the music. 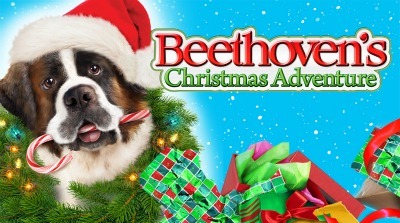 Despite the image, there are no dogs in this page of all-Beethoven recommendations. Let's call this an unsolicited ad for this direct-to-video sequel starring Curtis "Booger" Armstrong. Image © 2011 Universal Studios. It's an amazing thing--no matter how many recordings of the Beethoven symphonies you hear, there is always a conductor who manages to bring out something new and unheard in the works. Here, it's Riccardo Chailly, whose five-disc account of the symphonies (with some overtures) is a welcome addition to an already vast catalogue. These are all live recordings: brisk, invigorating accounts of these familiar symphonies. The Fifth (taken at a very fast tempo) is a highlight. The Sixth is played with great purpose and clarity. In the later symphonies (7, 8) Mr. Chailly draws out the textures of Beethoven's string writing, showing the composer pushing the musical envelope. The Ninth wails and stomps through the first two movements. The third is played very slowly--Chailly's experience with Bruckner pays off here. There is an inspired set of soloists in the final choral movement. Recommended. Now this was a good idea. Jonas Kaufmann's first major studio opera recording has him taking on the challenging role of Florestan, wrongfully imprisoned by a vengeful government official. To save him, his wife Leonore (Nina Stemme) cross-dresses and becomes "Fidelio", a suspiciously helpful turnkey in the prison. This is the first new recording of Fidelio in a while, which is mostly due to a lack of Leonores. Happily, Nina Stemme is admirably qualified for the part, a full-on Wagner soprano who can summon tenderness in the big Act I quartet. 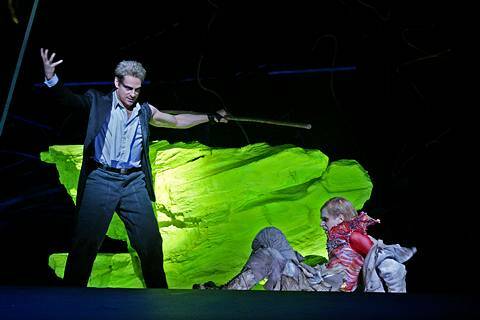 The strong cast features Falk Struckmann as the baddie, and bass Christoph Fistesscher as Rocco. In a welcome return to opera recordings, the great Claudio Abbado shows his way with Beethoven, leading this Swiss orchestra. It's coming out next month: the reissue of Herbert von Karajan's umpteenth (and final) cycle of Beethoven symphonies made with the Berlin Philharmonic. Experience the pristine DG Karajan Gold sound without having to shell out too many gold pieces. Over the course of a five-decade recording career, Karajan repeatedly recorded the Beethoven symphonies, seeking greater refinement of sound from his Berlin Philharmonic forces. The "standard" is his 1963 cycle with the Berlin Philharmonic. But even if it's in the interests of completism, there's something to be said for these digital readings, made in the early 1980s when the conductor's power was at its height. But wait, shoppers, there's more! This small but mighty box includes the Anne Sophie Mutter recording of the Beethoven Violin Concerto, a rare orchestral arrangement of the Grosse Fugue, and a cycle of the piano concertos. Christoph Eschenbach plays the first, and Alexis Weissenberg (appearing under a special licensing deal with EMI Classics) plays Nos. 2-5. Hi-def high-quality Beethoven from Christian Thielemann, the German conductor whose whole career has been a determined throwback to the great kapellmeisters of the past: Hans Richter and Arthur Nikisch. These are visual records of the Vienna Philharmonic playing these great works in the legendary Musikverein. If you want the audio record, the CD box set (released by Sony) comes out on Dec. 27. "Mr. Thielemann leads a straightforward, über-Romantic interpretation, opting for a limpid clarity of texture that allows the listener to hear these sturdy works afresh. He is aided by the sterling acoustics of the hall, the quiet-as-mice audience, and of course the unique sound of the Vienna Philharmonic, whose well-documented use of "Viennese" horns, period oboes and goat-skin drums make them, in effect, an historic ensemble that chooses tradition over technology." The concert films and recordings are top-notch, even though the camera has a music video tendency to cut too quickly. And if you have a post-Christmas gift certificate, these concerts will be released on CD on Dec. 27. This 53-year old set is from the stereo boom, when many record labels were putting together orchestras and conductors in an effort to get into the market. Joseph Krips is chiefly remembered for his opera recordings, most notably a Vienne Don Giovanni that remains an industry standard. The LSO sounds great, captured in their prime. And hey, it's SIX BUCKS for a high-quality MP3 download from Amazon. At that price, it's bound to make somebody happy if they find it in their mailbox this holiday season. One of these boxes has music in it. With the major labels constantly merging and trying to re-sell old recordings, there are excellent opportunities for the collector. The recordings here are all orchestral music, with great conductors tackling familiar works. Buy one of these for someone you know, and they'll be happy you did. Danish National Orchestra cond. Michael Schønwandt. Those of us who stayed in New York this summer can tell you that Mr. Schønwandt's performance of Nielsen was a concert highlight of those hot months. The Danish conductor brings his razor-sharp ensemble to a complete cycle of the six symphonies. Recommended here: the bold Inextinguishable Symphony (No. 4) and the brisk Four Temperaments (No. 2). The set also includes overtures and rarely heard excerpts from Nielsen's stage works, not often played outside of Denmark. The Romanian conductor Sergiu Celibidache worked at the height of the recording boom. Yet, the maverick maestro famously refused to join the frenzy of record-making, preferring to let his live performances speak for themselves. When he died, his family did not hesitate to make his performances available on CD. These EMI reissues are at a budget price, featuring his mystic approach to Bruckner with the Munich Philharmonic. This is pretty good Stravinsky. Not absolute top-rank: that's Pierre Boulez' DG recordings or the composer's own readings on Sony. There are some great performances here though: Charles Dutoit's Montreal account of The Firebird and Vladimir Ashkenazy's Cleveland Rite of Spring. The set also includes more modern ballet scores like Agon and the composer's neo-classical symphonies and works for piano and orchestra. Charles Munch's Boston recordings have enjoyed something of a renaissance this year, with two boxed sets celebrating his musical legacy. Here is your chance to hear his approach to Wagner, with soprano Eileen Farrell joining the orchestra for scenes from the operas. In addition to solid symphony performances (the Tchaikovsky 4, 6, and Dvořák 8) this set also includes classic concertos. Violinist Henryk Szerying plays the Tchaikovsky, and cellist Gregor Piatagorsky tackles the Dvořák concerto. "The Swiss forces are not as showy a "name" as the Vienna or Berlin Philharmonics or the American "big five." But on these recordings, they play Mahler with freshness, enthusiasm and love for this composer's particular genius. They are led by Mr. Zinman, who chooses brisk, but not rushed tempos, with some exceptions." "It also includes a fascinating documentary, Going Against Fate, that chronicles the sessions for the Sixth Symphony. The film delves into the complexities of playing in a modern state-sponsored orchestra, from the tuba player's need for brass oil to a bassoonist demonstrating the proper way to wrap and blow a double reed." Concert Review: Who Needs Black Friday? Ludovic Morolt conducts Harbison's Fourth, Mahler's First. 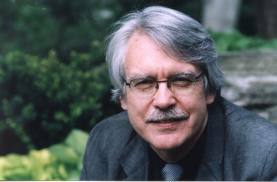 Photo by Kathrin Talbot, © 2010 G. Schirmer and Associates. James Levine vacated the position of Music Director of the Boston Symphony Orchestra in March of this year. But this week's program, conducted by his former assistant Ludovic Morlot, is very much a continuation of the programming idea prevalent in his seven-year tenure. The program, played to a full Symphony Hall on the afternoon after Thanksgiving, opened with the Fourth Symphony by John Harbison. This was part of a two-year BSO initiative, to perform all of Mr. Harbison's extant symphonies by the end of this season. It will conclude in January with the premiere of his Sixth. 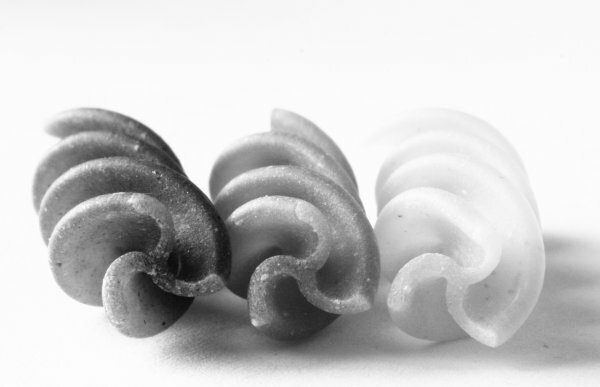 The Fourth is a bleak, unsmiling work in five movements. In his thoughtful program notes, the composer describes the work as a five-movement cure for his Gatsby hangover, following that work's mixed reception in 2000. Indeed, the first movement is jazz-inflected and brassy, almost strident until stopping dead against its own momentum. The second is indecisive, the sound of a man beginning anew. The third finds the composer emulating the work of Shostakovich with a dour double scherzo, Complicated dance rhythms tumbling over each other in and effort to express themselves. The funereal Threnody that followed was grim, terse effective. The final movement was bold and determined, the sound of a composer finding his groove, and moving on to what should be a brighter, more optimistic future. Under Mr. Morolt, the Boston Symphony Orchestra played the Harbison work with taut power. They brought the same quality to the second Suite from Maurice Ravel's ballet Daphnis et Chloë. The large ensemble tackled these furious rhythms with glee, playing the closing "Danse generale" with gusto. The concert concluded with a Mahler First played with bold strokes. Despite a few balky notes from the bassoons, Mr. Morolt summoned the spirit of spring into Symphony Hall, making Mahler's chorales of offstage trumpets and onstage horns come together in a celebratory manner. The reeling, wine-tippling peasants of the second movement lurched groggily in. The joy was visible on the faces of the Boston players as they moved into the elegant trio before returning to Mahler's clod-hopping Ländler rhythms. played the famous funeral march, drawn from the children's rhyme "Frere Jacques" before slipping into Jewish wedding music and letting out some very merry sounds from the eight-man horn section. Those horns move to their feet in the last pages of the tumultous finale, a treacherous, long movement made more difficult by a tricky repeat that forces the orchestra to reprise the entire main theme in a different, higher key Still, the players stood up to the challenge. Mr. Morlot slowed a little in the middle of this movement, but regained his footing and brought the First in with a blaze of sound and a loud, approving applause. With stunning playing like this, who needs a door-busting sale to be truly happy? The Doorstop Division: 20 discs and up. 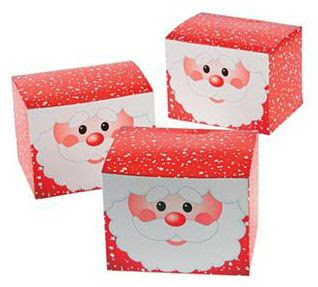 These boxed sets might not fit under your tree--or down your chimney. 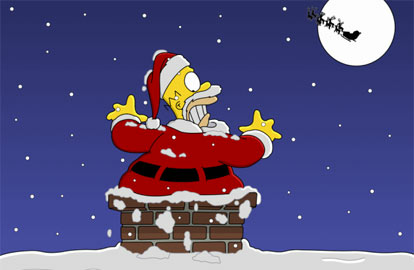 Image by Matt Groening © Gracie Films/20th Century Fox. You get the idea. It might have had something to do with the millennium, as record labels scrambled to push their music out into the world (again) before the Y2K clock fried their databases. Or it might have been the simple greed that has nearly driven those labels out of business. Only Norman Lebrecht knows for sure. Despite the bloat (and subsequent devaluing of music to something that you buy the same way you buy cheese)these make great gifts for the hard-core music lover in your life. They can also make a handy doorstop after spending the holidays ripping the CDs into your hard drive. Which is why Amazon.com is now making it possible to download entire boxed sets with a minimum of effort. Anyway, here's five picks. They're big, but they're really good. I promise. There are several comprehensive sets of Bach cantatas on the market, from Nikolaus Harnoncourt and John Eliot Gardiner. This entry from Helmuth Rilling, the founder of the International Bach Academy in Stuttgart may not be on a flashy major label, but it is more than competitive. When the Philips label was unceremoniously folded into Decca under the banner of Universal Music Group, the catalogue lost the great Vivaldi recordings made by the ensemble I Musici under the direction of Vittorio Negri. They're all present and accounted for here, along with great performances from period performance specialists Philip Pickett and Christopher Hogwood. All the Vivaldi you could possibly want, except for the operas. Those will probably be along on another boxed set, as soon as somebody gets around to recording them. Wilhelm Furtwängler was one of the most important conductors of the 20th century, with a unique, flexible approach to Romantic music. This gigantic set preserves his memory with accounts of Wagner, Brahms, Beethoven, Bruckner, and possibly the kitchen sink. Lovingly packaged with small mini-boxes inside the big case for easier management, the whole set is the size of a small Dachsund. This is the gift for the lover of German music. This shelf-bending set of Tchaikovsky is from Brilliant, the same label that brought you the back-breaking editions of Bach, Haydn, Mozart and Beethoven mentioned at the top of the column. It includes the piano concertos, ballet scores, and even the rarely performed early operas. Another weighty entry in a comprehensive series of composer surveys from Brilliant Classics. Includes the major operas alongside lesser-known works like Oprichnik and Mazeppa. If you read this blog regularly, you might remember an article that I wrote comparing (in some detail) the huge boxed sets that were coming out this year to celebrate the 200th birthday of composer, pianist and cigar fancier Franz Liszt. For more detail about the Complete Liszt Piano Music (performed by pianist Leslie Howard) and the other competing sets, please consult this article. From the out of print Giuseppe Sinopoli recordings of the Dante and Faust Symphonies to the piano music and songs sung by Dietrich Fischer-Dieskau, this is a sweeping collection that celebrates Liszt the composer, and not just of piano music. That is certainly the core here, but orchestral works get equal time, and there's even some rarely heard choral music. A guide to shopping for the music nut in your life--even if it's you. Well, here it is folks, your guide to the very best of classical music and opera. The focus is on releases and reissues within the last year, with some stone classics thrown to make things a little more interesting. But first, a few words from your editor. That's me. The arts are struggling in this country. Corporate underwriting has faded with the fluctuations in the market and collapse of big financial institutions. Musicians need to be paid, trips have to be booked, and concert halls have to be heated. Many orchestras are facing program cuts, labor troubles and other signs that have cast a pallor over their seasons. If you're an American concert-goer who loves classical music and reads Superconductor, consider donating to your local orchestra or opera company. You get a neat membership card, and in some cases a magazine, newsletter or discounts at local restaurants. So donate! And then get yourself something nice. After all, it's the holiday season. OK. That's the sermon. Now on with the music. The guide this year is in four parts. Well, five if you count this splash page. All products are sold through Amazon.com in my online store. Everything on this page is 30 discs and up. Sounds like a lot of music? It is but these are for bargain-hunters, catalogue completists, or the serious collector who just can't get enough. All you want for Christmas is an irascible deaf guy who can't hear very well. That's either your Uncle Al or Beethoven. Beethoven wrote better music. The best full-length opera recordings to come out in the past year, on CD and DVD. The weird part is, most of them are from the Metropolitan Opera. For the piano student or the aficionado, classic recordings and new releases. This is going to be a long Liszt, especially since this is the year that all the labels are celebrating the Hungarian pianist's 200th birthday. Ludovic Morlot conducts the Boston Symphony Orchestra. 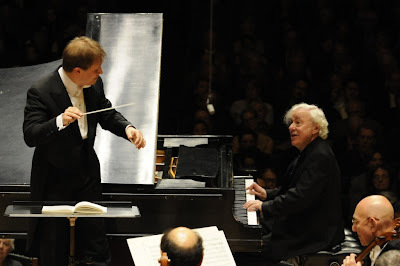 Ludovic Morlot conducts the Boston Symphony Orchestra with pianist Richard Goode. Photo by Stu Rosner © 2011 The Boston Symphony Orchestra. On Tuesday night at Symphony Hall, the Boston Symphony Orchestra offered a program of four works that spanned three centuries and straddled four different genres of concert music. In what has become a pattern in this music director-less season, former BSO assistant Ludovic Morlot (now with the Seattle Symphony) conducted. The journey began with Berlioz' Roman Carnival overture. Built from the "good parts" of the composer's failed opera Benvenuto Cellini, the work allowed Mr. Morlot to show his conductorial skills. He amassed Berlioz' vast forces, the searching solo for the English horn, chivvying strings and a blaze of brass. Given this performance, a BSO concert performance of the full opera (or at least an act of it) is an interesting idea. Half the orchestra left, and a piano was moved in for Canadian soloist Richard Goode to play Mozart's Piano Concerto No. 25. Mr. Goode played hunched over the keyboard, his shoulder crooked and his lips moving in time with his fingers as he played. Despite this eccentricity (which recalled the mannerisms of Glenn Gould) the soloist played with limpid, sweet tone, using almost no force with Mozart's solo part. This made a contrast to the Beethovenian force used in the cadenzas, which were Mr. Goode's own. (Mozart's cadenzas are lost.) These interpolated solos in each of the three movements proved thrilling. Mr. Goode seemed more alert in these passages, moving with alacrity up and down the keyboard and expanding on each movement's musical ideas. The clock moved forward to the 21st century as the second half of the program, which focused on modern music. Elliott Carter's Flute Concerto had its U.S. premiere in Feb. 2008 at Symphony, with soloist Elizabeth Rowe. She reprised her performace, playing the challenging solos that explore almost all sonic aspects of the flute--with the exception of Jethro Tull-style flutter-tongueing. Carter starts with a simple theme and builds from it, backing the soloist with a proportionately small orchestra. Complicated percussion is also featured, with temple and wood blocks and even a metal pipe joining in. Sliding chords in the strings and angular figures for woodwinds and piano anchor the expressive flute part, alternately playful, mournful and stern. The repertory moved to the 20th century as the full orchestra returned to play the Suite from Béla Bartók's The Miraculous Mandarin. Despite its quaint-sounding title, this is pretty grim stuff. The Suite covers the first two-thirds of the sordid ballet, the tale of a prostitute, a gang of toughs and a spooky, otherworldly client who just won't die like he's supposed to. Clarinetist William Hudgins represented the dancing prostitute with agile, eloquent soloing over the chugging strings The four-man BSO trombone section outdid themselves, playing the dark two-note theme of the Mandarin with power and menace. Mr. Morlot led a tautly controlled performance of this famous, jagged score. Like most good performances of the Suite, it left one wanting to hear the whole thing. Jeanne d'Arc au Bûcher at Carnegie Hall. Saturday night at Carnegie Hall featured a New York appearance from the Baltimore Symphony Orchestra, performing Arthur Honegger's equally rare Jeanne d'Arc au Bûcher, a 1935 dramatic oratorio depicting the martyrization of Joan of Arc. Marin Alsop conducted. This unconventional oratorio requires vast resources, superbly commanded here by Ms. Alsop. Honegger wrote for a giant orchestra, a three-part chorus, and the ondes Martenot, an early electronic instrument whose eerie, swooping sound represents both the barking of dogs around Joan's stake and the onslaught of divine intervention. Honegger is chiefly remembered today for his membership in Les Six, the handful of France-based composers who modernized music in the first half of the 20th century. His work is tonal, rising from the minor-key darkness of the prologue (added when the work was revised in 1946. The music veers into a satiric, jazz-inflected voice in the description of Joan's trial (her prosecutor is a pig, the judge depicted as a sheep) and the "game of cards" where Kings and Queens shuffle and cut for the right to kill the innocent Joan. Ms. Alsop kept taut control over the tricky rhythms and the shifts in mood, with characterful contributions from the large cast of singers and actors. 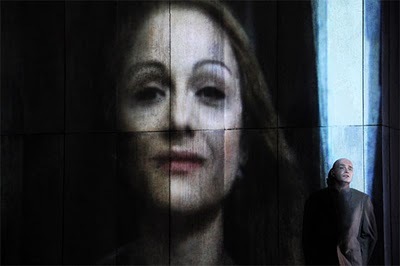 The work achieves an ecstatic height in its last sections, starting with the passage where Brother Dominic (Ronald Guttman) grills Joan about the discovery of her sword. At this point, the music shifts heavenward, with overwhelming, rising passages that depict the religious fervor of Joan and influence of a higher power on her short life. Right before the burning, a medieval folk-dance, Tirazo is added to the orchestral fabric. Like the Turkish march in Beethoven's Ninth Symphony, the dance drives the work to a higher energy level, for the difficult, emotionally wrenching depiction of the burning itself. This final sequence rises to an extraordinary height, with the orchestra thundering, the chorus providing support and the soprano voice of the Virgin welcoming Joan to Heaven. Jeanne d'Arc requires a large cast. Soprano Tamara Wilson was potent as the voice of the Virgin Mary, although she fought to get over the huge orchestra in the last pages. Tenor Timothy Fallon was squally and bleating, appropriate to the part of the porcine prosecutor. Bass Morris Robinson made a strong impression in his short passages. The part of Joan is spoken. Actress Caroline Dhavernas was a powerful, dramatic force. 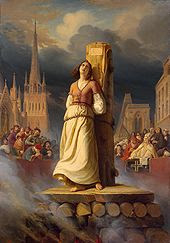 Her hair bound up and her dress plain (historically accurate, as Joan was tried wearing men's clothing), Ms. Dhavernas became a simple figure of faith standing up for injustice. The contemporary, political resonance of this image only added to the overwhelming strength of this performance. An Open Letter to the Mayor of New York City. New York's third-term mayor Michael R. Bloomberg. "He, too, then, is nothing better than an ordinary man! Now he will trample on all human rights only to humor his ambition; he will place himself above all others,--become a tyrant!" 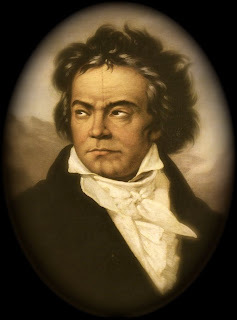 Today, you declared Nov. 20, 2011 to be "Beethoven Day" in the City of New York. But by your recent actions, Mayor Bloomberg, you have shown yourself to be totally ignorant of the composer in question. Ludwig van Beethoven was a fiercely independent artist who fought against tyranny. He broke the European system of patronage and "court" composers, eking out a difficult life as a freelance musician. A fierce republican, he famously reacted to Napoleon assuming the title of Emperor by striking the name "Bonaparte" from his symphony No. 3. The work is now known as the Eroica. Under normal circumstances, "Beethoven Day" would be a great idea. 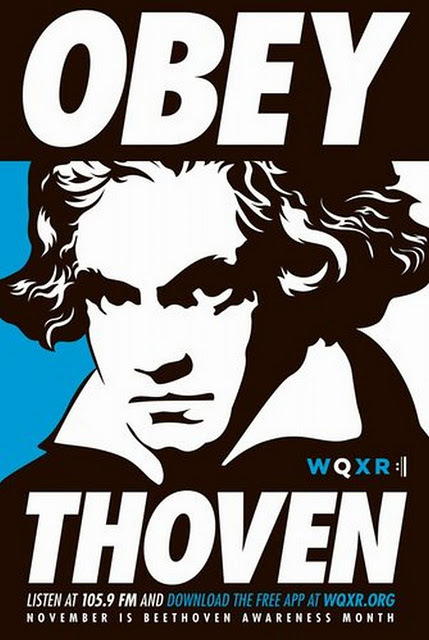 WQXR's clever "Obey Beethoven" campaign has the composer's scowling mug all over the city. Recent performances by the New York Philharmonic, Vienna Symphony and the Orchestre Révolutionnaire et Romantique have brought the composer's genius to the city's concert halls. And today WQXR has achieved something historic, an all-day marathon of the 32 Beethoven piano sonatas, played live. But right now, things in our city are a long way from normal. Less than one week ago, Mr. Mayor, you ordered a small army of riot police to "clean out" Zuccotti Park, the two-month home base of Occupy Wall Street. Protestors in the park were warned that they had less than one hour to remove all of their property from the Park before the police went in. And we know you ordered it. You went on the air and claimed responsibility for the actions of the police. The poster for WQXR's "Obey Beethoven" campaign. © 2011 WQXR/National Public Radio. When the NYPD went in, they swung nightsticks, slashed nylon tents with razor blades, and attacked protestors. The media was walled out, with fire trucks blocking cameras and reporters from all three papers either arrested, attacked, or kept from covering the actions of the police. City councilman Ydanis Rodriguez was injured and arrested, and incarcerated for almost 24 hours. He identified himself as a city official, and was not allowed to talk to a lawyer. The worst crime perpetrated against the protest was the partial destruction of the People's Library, a 5000+ volume collection of novels, philosophy, textbooks and even a bound copy of the Torah. The cops dumped these neatly stored books into Department of Sanitation garbage trucks. The trash compactors were activated. Over 2000 volumes were crushed into garbage, destroyed beyond repair. Some have been recovered, but many are badly damaged. Beethoven's lone opera, Fidelio is another triumph over tyranny. Written in 1804 and revised in 1815, Fidelio is a "rescue" opera: the story of a wrongfully imprisoned nobleman, locked in a deep dungeon by a corrupt prison governor. The prisoner's wife, Leonore, cross-dresses and goes undercover as "Fidelio", an assistant turnkey at the prison. Eventually, her husband is freed and evil is defeated. Mayor Bloomberg, you have arrested and charged over 1,000 people in your city in connection to the Occupy movement. You have allowed police to use "kettling", pepper spray, night-sticks and L-Rad sound cannons on your citizens. You ordered the large-scale destruction of books and personal property. Despite owning a media company, your police have prohibited journalists from doing their jobs and exercising their Constitutional right to free speech. And you have even had your own politicians, like Mr. Rodriguez, injured and imprisoned, denying them their right to speak to an attorney as guaranteed by Miranda v. Arizona. Beethoven once said: "What you are, you are by accident of birth; what I am, I am by myself. There are and will be a thousand princes; there is only one Beethoven." As one of those princes, you are not worthy of him. Vladimir Jurowski conducts the Leningrad Symphony. 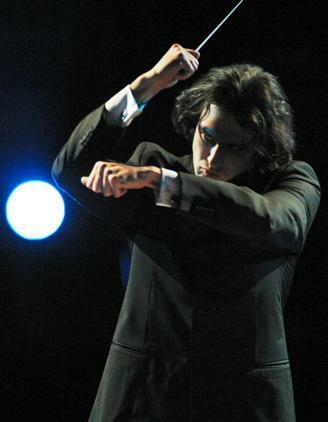 Leading the charge: conductor Vladimir Jurowski. In 2011, the Philadelphia Orchestra labors under the prospect of planned cuts to the members' salaries and to their roster. On Friday afternoon, the beleaguered ensemble played a work written in even worse circumstances: the Seventh ("Leningrad") Symphony of Dmitri Shostakovich. Vladimir Jurowski conducted. Mr. Jurowski is a second-generation maestro, a member of the "baton pack" of 30 and 40-something young conductors who have reinvigorated the world of classical music with fresh ideas and enthusiasm for this music. He led a razor-sharp account of this tricky work, making the repeated passages of interest and tying the themes together to recreate the sounds of a frozen battlefield in the concert hall. Shostakovich composed the first three movements of the Leningrad Symphony as the Nazis marched on the city and settled in for a 900-day siege. Eventually, the composer and his family fled to the temporary Soviet capital of Kuibyshev, (Samara) where he work had its world premiere. The Seventh was a smash success, and received its U.S. premiere in Philadelphia, conducted by Arturo Toscanini. That premiere was at the venerated Academy of Music. For this one, at the nearby and much newer Kimmel Center, the performance opened with the rich, characteristic string tone that is a Philadelphia trademark. Dark, lush sonorities evoked the landscape of a happy, peaceful Russia. Maybe the music is a bit idyllic here--after all, Stalin was in power, but this is Shostakovich painting his homeland as a worker's paradise. The "invasion" is the work's most famous section, 12 repetitions of a simple theme, based on Fritz Lehar's The Merry Widow (a favorite of the opera-loving Hitler). It starts imperceptibly anchored by the rat-a-tat of a gradually approaching snare drum. (Shostakovich's model here was Ravel's Bolero.) Mr. Jurowski maintained strict control of the dynamics, increasing the volume wih each variation until the sound of the 16-piece brass section echoed the cannon-fire of Russia under siege. A mournful bassoon solo followed, depicting the aftermath. In the doleful second movement, the Philadelphia woodwinds moved to the fore, with a gorgeous oboe solo before the start of a second ostinato of smaller dimension than the first. A lyric slow movement followed. Meant to depict the vast white reaches of the country around Leningrad, the idyll was interrupted briefly by klaxon-like sounds from the orchestra that raised the alarm once more. The "Victory" ends with what might be the most stirring chord in symphonic repertory. It is certainly the loudest. The trombones rose to their feet and the huge band played at full strength, hovering just around the pain threshold for the ear in a blazing triumph of sound. As the mighty Philadelphians depicted these historical events one hopes that forthcoming cuts to the orchestra will not deprive their audience of future performances on such a massive scale. Multi-million-dollar stage equipment comes to lower Manhattan. The Metropolitan Opera and the Mayor's office have come up with a plan to cut the costs of the company's troubled production of Wagner's Ring. At the same time, the city will solve the problems posed by Occupy Wall Street, the two-month-old protest movement in Zuccotti Park. The City has arranged to borrow the "Machine" set, which has been used (up until now) for the Ring. The 45-ton set, which has been in storage at the Metropolitan Opera House since the last run of Siegfried, will be transported to lower Manhattan and set up at Zuccotti Park for eight weeks. 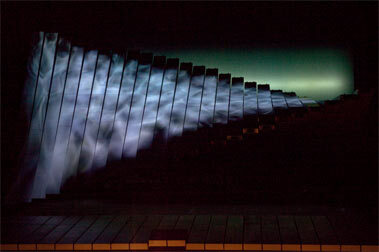 Designed by director Robert Lepage, the "Machine" is a sophisticated device, consisting of two dozen mechanical planks that spin around a central axis by computer control. During the operas, the planks are repeatedly reconfigured to create a projection surface for computer graphics, meant to represent the rivers, mountains, and castles of Wagner's mythological dramas. In its new role, the huge 45-ton contraption will be set up in Zuccotti Park, the private recreational space owned by Brookfield Properties. Its mechanical planks will be set to "spin" mode, and used to literally and permanently sweep the park clear of protestors, pedestrians, and other undesirable types. Starting on November 31, the city will embark on its Phase II plans for the park. This includes the opening of Zukotay!, a holiday-themed entertainment set on the site of the former Occupy Wall Street encampment. With help from a 12k Lumen Projector mounted on the nearby Joie de Vivre sculpture, the Machine will be used to project falling snow, magnificent mountain vistas and even the festive visual of a burning Yule log. "We plan to make this a family-friendly entertainment vector where there used to be homelessness and drumming." said Cirque du Poivre representative Alvin Tamias. "Passers-by and hard-working Wall Street professionals will be able to enjoy the show before being suddenly whacked in the head with a large plank." The contraption will remain in round-the-clock operation at Zuccotti Park through the Christmas shopping season until Jan. 18. Then it will be returned to the Met to begin rehearsals for Götterdämmerung, the final chapter of Wagner's Ring opening on Jan. 27. Addressing concerns from local residents about the noise made by continually spinning planks, Mr. Tamias said: "We've been assured that the Machine's operation is whisper-quiet." Deputy police commissioner Michael J. Czech claimed that this is a breakthrough in law enforcement. "Forget the L-Rad Sound Cannon," Mr. Czech crowed to the press. "This is the future of law enforcement--huge permanent technological structures that can keep a plaza free of protestors or occupiers with minimal expenditure on manpower and per diem, the expense of sending flak jackets to the dry cleaners." The Orchestre Révolutionnaire et Romantique at Carnegie Hall. Thursday night at Carnegie Hall featured the second of two concerts by the Orchestre Révolutionnaire et Romantique. For the past two decades, this British ensemble has specialized in playing Beethoven, using only instruments from the composer's lifetime. The concert featured Beethoven's Third (Eroica) and Fourth Symphonies, under the baton of Orchestre founder and period performance specialist Sir John Eliot Gardiner. The show opened with the overture to The Creatures of Prometheus, the opener of the composer's lone ballet score. It was played as a vigorous, spicy amuse-bouche, setting the table for the meal to come. Although the program placed the Fourth before the intermission, the first symphony played was the Eroica. Its sudden start, with two sharp raps on the timpani caught the audience off-balance. Occasionally the sound was marred by an overtaxed violin or a balky horn, but the musicians' passion and Beethoven's genius overcame these obstacles to enjoyment. In the first movement, Sir John Eliot delved deeply into the inner workings of Beethoven's innovative score. The famed funeral march carried extra weight when played by the raucous slide trumpets and natural horns. A chipper solo on the principal oboe led off the Scherzo, the rumbustuous dance movement, and another of Beethoven's innovations. The last-minute switch of the Third and Fourth on the program might have something to do with the Prometheus overture. Beethoven took the principal theme for the finale of the Eroica from the concluding part of that ballet. He developed this simple theme into a bewildering set of variations, including a colossal fugue. The O.R.R. responded to this superb material, lending grace and lift to the variations, bringing the whole piece home with its powerful final chords. The Fourth is one of the less frequently played Beethoven symphonies. It is usually relegated to the position of curtain-raiser, either to one of its more famous brethren or some grandiose work by another composer. By moving it to the second half of the evening, Sir John Eliot made the symphony stand on its own merits. The slow, dramatic introduction led into a whirling Allegro. This dancing, fast movement had an earthy, organic feel. The slow movement was played with delicacy. The muscular third movement, a tipsy Scherzo, might be the sound of Austrian rustics, stopping at the local heurige for a few glasses of spring wine, probably getting ready for the third movement of the Pastoral It led directly into the wild celebrations of the finale, played with enthusiasm and power despite an occasional squall from the horns. And Now: A Cartoon Moment! Is James Levine Hanging Up His Towel?